We sure had a great time at Amoeba Hollywood on Saturday! Our special guest auctioneer Tawny Newsome, musician and comedian and all around wonderful person, graced our stage and helped us raise close to $2,000 for our local Planned Parenthood chapter. We had some outstanding prizes, and Tawny's relaxed style coaxed the audience into raising their auction paddles (which were actually Amoeba handheld fans, so they did double duty that hot day). Full of quips and one-liners, she had the audience chuckling--and she even got the shy people to join in! Tawny Newsome is a Second City alum, actor (Bajillion Dollar Propertie$' "Chelsea Leight-Leigh") and a singer/guitarist. She was a touring member of Second City before joining the Mainstage cast and released a solo album in 2012. In 2013 Rolling Stone suggested Tawny for SNL's new cast. She moved from Chicago to LA about a year and a half ago where she's kept very busy. This October, Tawny is releasing her 4th album with Jon Langford (Mekons, Waco Brothers) which they recorded at the legendary Muscle Shoals studio with original Muscle Shoals session players. They recorded the new album three days after last year's election with Tawny, John and their two band-mates flying to the town of 400. Four Lost Souls will be out on Bloodshot records September 22, with a tour starting that same month. Bruce Springsteen is asking fans to donate to the Los Angeles Regional Food Bank at his shows at the Los Angeles Memorial Sports Arena for the River Tour on March 15, 17 and 19. In addition, the Food Bank is holding the Bruce Springsteen Fan Volunteer Day Saturday, March 19, the day of his last L.A. show. You can help the organization with such activities as sorting, boxing and repackaging donated food to be directed where it's needed most. The Food Bank will be pumping great music from Bruce & the E Street Band all day, so it's a great chance to connect with other fans as well! Spots are limited; sign up here using the password “Bruce2016.″ Sign up before 12 p.m. PST Friday, March 11, and you'll be entered in a drawing to win free tickets to see The Boss at his March 15 or 17 show. The Los Angeles Regional Food Bank has distributed more than 1 billion pounds of food to the needy since starting in 1973. Find out more and donate here. 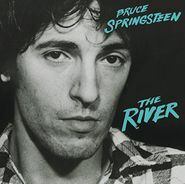 Bruce Springsteen's most recent release was a 35th anniversary collection of his classic album The River, which includes the album, plus unreleased tracks, interviews and performances from the era on a CD/DVD or CD/Blu-ray set called The Ties That Bind: The River Collection. While our food drives continue at Amoeba Hollywood and San Francisco, Amoeba Hollywood is also holding a toy drive at the same time. Now through Dec. 18, bring in a new, unwrapped toy for children (ages 7 to teenager) to the info counter at Amoeba Hollywood and get a coupon for $2 off your purchase of $5 or more. Sorry, no violent or weapon-based toys, please. The toy drive benefits the children of Five Acres. The organization works to prevent child abuse and neglect, and care for, treat and educate emotionally disturbed, abused and neglected children and their families in residential and outreach programs throughout LA and surrounding areas. Find out more at 5acres.org. Beginning Nov. 25, Amoeba Music in Hollywood will hold a food drive for the Los Angeles Regional Food Bank. The drive runs through December 12. The Los Angeles Regional Food Bank feeds more than half a million people each month—12% of those are over the age of 65, and 25% are kids under 18. Funds from our Dec. 5 charity auction also will benefit the Regional Food Bank, so there are lots of opportunities with us to donate to those in need. Please help us in any way that you can to feed the hungry this holiday season.